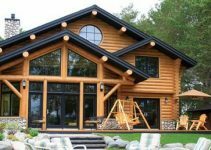 Chinking is the sealing material that fills the gaps between the logs in a log home. 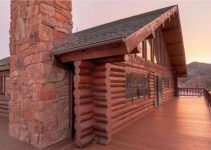 Chinking drastically improves a log home’s energy efficiency by reducing heat loss where the logs meet. More specifically, chinking can boost the R-value of log joints to almost the R-value at the log’s center. Foam (insulating foam of numerous types) and mortar; clay; strips of fiberglass insulation, burlap or felt. For a log cabin in the woods, moss is perfectly fine. The tighter the moss is packed, the better the insulation. 1. 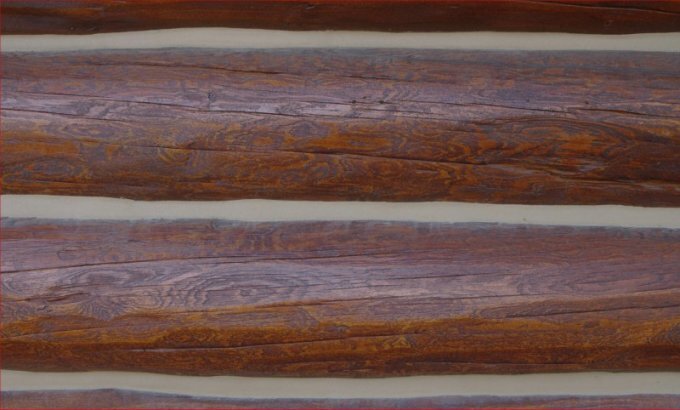 Good adhesion – The chinking or caulk sticks to the logs where it’s applied. It must adhere to the logs themselves and not simply fill the gap. 2. Good cohesion – The chinking sticks together even under stress. It must be sufficiently elastic to handle the normal expansion and contraction that wood experiences over time. Log walls expand and contract with heat, cold and varying moisture conditions. This internal movement means the chinking is stressed and it must be able to flex and not break or split apart. Of the two most common ones which is the best, mortar or synthetic chinking? Today’s synthetic or “elastomeric” chinking materials are more flexible – so as logs shift and settle, they are far less likely to tear or come loose. On a conservative estimate, chinking lasts about 40-50 years. It also comes in several colors. Mortar is fire resistant! A very important consideration. If you ever have a house fire remember that synthetic chinking is petrochemical based, so the fire can become larger, faster; and create more toxic fumes. Also, DIY mortar can save several thousands of dollars in costs. Add enough water (slowly) until the mixture is easy to work but not too wet – about the consistency of peanut butter. Work this into the gaps from each side using a putty knife or drywall knife. 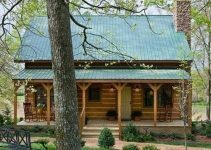 Small Log Cabin less than 500 square feet is the new trend and meets my needs. 4 ft wraparound porch the cabin is one level but a full usable Attic. Solar energy and back up generator to built for a handicap person.